Smartbook #3, The Eee Pad Transformer Arrives Next Week. I’m a smartbook fan. 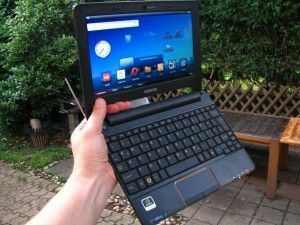 I want to see the netbook form factor extended right down into the mobile operating space by including always-on, location services, sharing, dynamic user interfaces, a huge app store and access to music, video and books as well as apps. I also want to see the applications on the mobile operating systems mature to the point where I can run my business on them and right now, one of the most interesting mobile operating systems, and one that has made more progress than any other crossing the chasm into productivity and desktop worlds is iOS. The problem is, I don’t like the restrictive nature of iOS products for productivity work so I’m personally very excited about where Honeycomb is going. 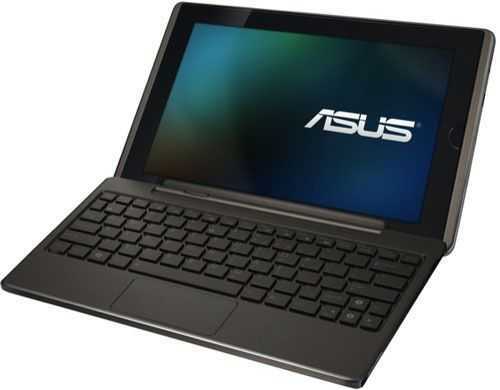 I’ve tested Android 1.x on the clamshell Compaq Airlife 100 and 2.x on the Toshiba AC100 so to follow-on I’ve ordered an Asus Eee Pad Transformer which is running 3.x. 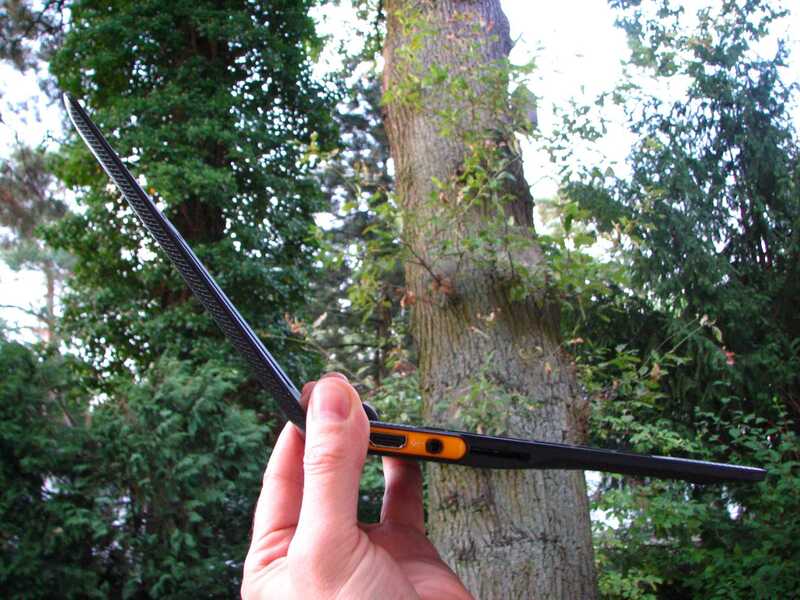 Not only will this be a great smartbook test, it will also be the first 10 inch ARM-based tablet that I’ve owned. With the Galaxy Tab so woven into my daily life, it will be interesting to see if the Transformer has any impact there. Through my social circle I see that there’s quite some interest in the Transformer. I think we all know it’s NOT going to be a business device from day one but the point is, it’s an important device to test and one that could mature well through 2011. I’m unlikely to be one of the first to get one as high-street availability has already been confirmed in the UK and I won’t be picking mine up until next week when I visit my folks in the UK. Naturally I’ll be setting up a LIVE REVIEW for when I get back home and this is provisionally planned for Friday 22nd April at 2100 Berlin time. We’ll go over the device and run through some Honeycomb tests, video playback tests, battery life tests and a whole suite of application tests including some productivity applications. I’m also interested to see how the USB host functionality is implemented. I paid 429 UK Pounds for the 16GB version with docking station that should start to ship on the 18th. That’s not cheap compared to the Toshiba AC100 but it’s a reasonable start price. You’ll see this for 25% less in a very short period of time I’m sure. There’s no 3G though so it means I’ll be carrying my MiFi or, strangely, the Galaxy Tab as a 3G hotspot. 16hrs battery life in 1KG is a stunning runtime figure but if the OS and applications can’t deliver, those 10 extra hours are worth nothing! Stay with me, here on Carrypad, for testing next week. Friday is turning out to be a good day. The iPad 2 launches in Europe (although I still don’t see any official pricing in Germany) and it’s my Birthday. Now, I hear that the Eee Pad Transformer is launching too. Decisions decisions! 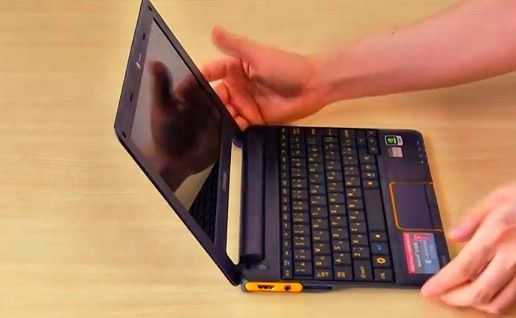 The Eee Pad Transformer is an interesting product because it takes the idea of the smartbook one step further. 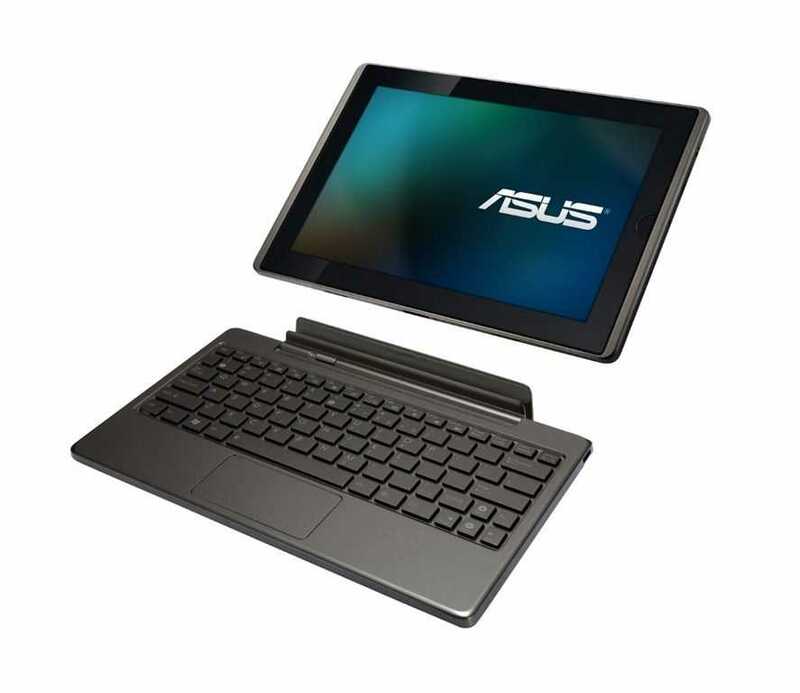 It uses the Honeycomb operating system (which could enable a far superior laptoping experience than 2.x ever did) and it uses a keyboard mechanism that can be un-docked to allow tablet-only usage. I tested the Transformer out at mobile world congress in February (video below) and wasn’t too impressed with the weight but full USB ports made me wonder if ASUS are building some nice USB hosting capabilities. The weight with the dock also seems a little over the top. With connectors and an additional battery in the keyboard unit, I’m expecting the total weight to tip 1KG. The unit I tested wasn’t running Honeycomb. Pricing has me a little worried. The price for the tablet seems OK at 399 Euro although confirmation is still needed on storage and 3G capability. 32GB and 3G included is what I’m assuming at this stage. The price of the dock could add 120 Euro to that. The price isn’t too bad when compared with high-end tablets but when compared with the Tegra-2 based Toshiba AC100 smartbook (under 300 Euro with 3G) you get the idea that there’s a huge margin being added here and that the price should come down by at least 100 Euros over time. The March 25th launch is for Taiwan only at this stage and will only include pre-order. Actual availability around the world is still unknown but we’ll probably hear more on Friday. Back at IFA in Sept 2010 Toshiba told us the 2.2 update was due in 6 weeks. To be honest, I had lost all hope of ever seeing Froyo on it but sure enough, there it is as a downloadable firmware upgrade through the Toshiba Service Station application today. I’ve downloaded, installed and tested and can confirm that not only are you getting V2.2 of Android with a noticeable performance boost but you’re also getting Flash support which finally enables a reasonable YouTube experience. There’s also the Toshiba market for apps, music and radio and, of course, some nice features in 2.2 like the 3G hotspot feature for those of you with 3G versions. I’ve also noticed an increase in compatibility with sideloaded applications. Streaming audio through applications like Last.FM now work and there’s better graphics compatibility. Previously, many games just weren’t working. One of the big question marks though is about standby. Original versions of the AC100 would often jump out of standby, an almost off state, and never fall back into it meaning batteries would be dead by the morning. I’ll be testing that tonight [Update: This morning it was still in standby. More testing needed thought] but in the meantime I’ve been checking to see if Toshiba have improved the active-idle battery life. They haven’t. Screen off idle, with Wifi on and apps able to use the Internet results in about 2.5w continuous drain. That is, in ARM-platform terms, quite embarrassing for Toshiba. I’m not able to test Internet-connected idle mode with the 3G here. [Previous testing here] In-use battery life still seems to be around the 6hr mark which is good for 800gm of device with a 25Wh battery but they really should have worked on the active-standby figures before the product went out of the door. Performance increase is noticeable with browsing, UI actions and measurable in Sunspider and other tests. Sunspider results have improved from 4800 seconds to 3900 seconds – a 19% improvement. Quadrant results are at the 2000 mark and Linpack returns 34MFlops, an impressive figure. So does it bring the AC100 back from the dead? I just had a look at the prices and I certainly think there’s value here now. The model I have under my fingers right now has just broken through 200 Euros in Germany. That’s with 512MB of RAM and 8Gb of storage, USB OTG and 1080P playback (with uPnP support) a good keyboard, about 6hrs battery life (10+hrs max) in an 800gm chassis. You don’t get Google applications (I would happily pay 50 Euros for that enhancement) and you’ll pay 40 Euros for the addition of 3G but still, that’s a great deal. Remember that a Novatel MiFi costs at least 150 Euro and you certainly can’t type docs, play music and 1080p video or Angry Birds on that! It’s not a netbook, but it’s a good value gadget. There’s very little need for a WYSIWYG HTML editor on Android. Who in their right mind would want to do that on a smartphone? The requirement pops up though when you use Android on a large screen device like this AC100 smartbook i’m using right now. I’m testing a few right editors right now and although there’s nothing that hits me as being 100% perfect, I think there are enough solutions and workarounds out there. What would be perfect is to be able to work through the browser in AJAX applications like Google Docs or the rich editor in the WordPress back-end. With Android 2.1 that’s just not possible. The AC100 gets an upgrade to 2.2 that fixes that soon (apparently) but in the meantime I’m using three applications. 1 – WordPress. 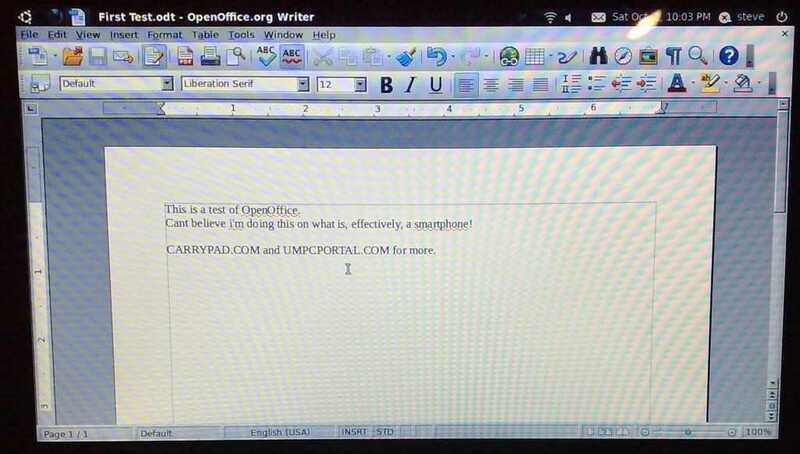 This is a basic editor for offline posting to WordPress. As you can see here, it works! 2 – QuickOffice. I’m testing this as a way to acces my Google docs and Dropbox. It’s basic but if you need to get some text down, it works. 3 – Documents to Go. Similar to QuickOffice. As I get further into testing the differences will appear. You might have caught my excited tweets and posts about getting Ubuntu running on the AC100 over the last few days and if so, you might be starting to realize how close these ‘smart’ books or ARM-based netbooks, effectively smartphones in a netbook-style case, are getting to the netbook experience. The overall experience is certainly not ready for the average customer but take this video as a demonstrator that 1) Processing power is significantly better with dual-core devices to the point where Web browsing is not slow 2) A productive experience is possible through Linux applications 3) that the AC100 is well positioned as a device for further hacks. MeeGo, Android 3.0, Chrome OS and other Linux builds included. At 800gm for 4hrs productivity, Intel need to take note. 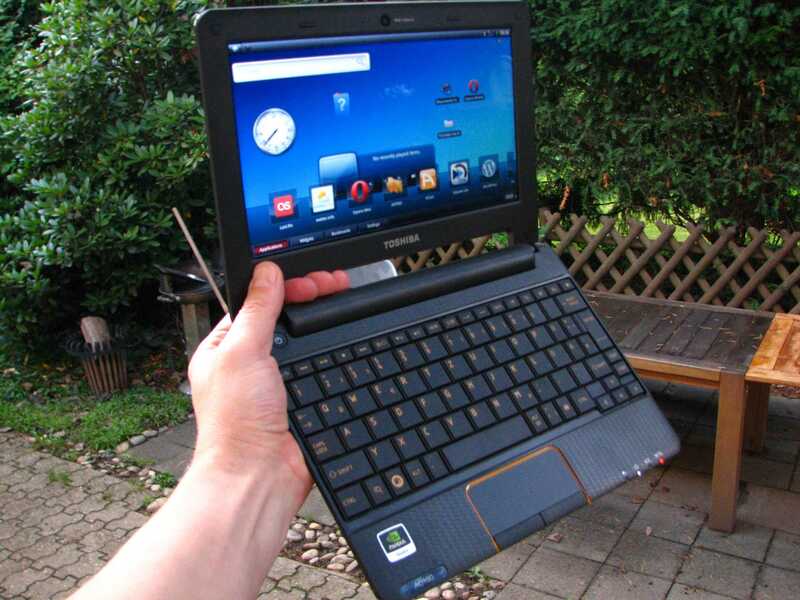 I’m definitely looking forward to see if the same hacking process works on the Toshiba Folio 100 tablet. Before you watch the video though, note that there are problems. Battery life â€“ The AC100 is lasting 4 hours but should last 6 or more. A big part of the problem is the lack of screen brightness control â€“ it’s on 100%, all the time. Also, Linux is very uncontrolled when it comes to networking and disk access too and with 152 process running (gulp!) I doubt there’s a moment’s silence for the silicon inside the device. Take the iPad as a benchmark in this area because with a similar size screen and battery it’s getting 10hrs or more. You can’t run a full Linux build from an SD card without disk access blocking from time to time. No sound, video, 3D graphics support or WebCam at the moment as far as I can tell. I’ve seen a few too many crashes. For HOW-TO articles on how to do this, see the forums mentioned in this post. Update: Toshiba have obviously taken notice of this work as they’ve allocated someone to take a closer look at it. Again, this isn’t a solution that anyone could use on a day-to-day basis yet but I regard this as a seminal moment for ARM-based ‘netbooks’ because it’s the first time I’ve ever been able to efficiently run my desktop work processes (Web apps, blogging, image editing, twitter) on an ARM-based device. With the doors open now, I expect the AC100 to get picked up by quite a few hackers in the coming weeks and for progress to accelerate even faster. My testing continues but i’ll refrain from posting further articles on Carrypad unless anything significant happens. Despite the incomplete nature of these ‘smart’ books I’ve been testing, I’m still positive that the form factor and ARM-based processor has a lot to offer and that it will greatly influence the netbook of the future. People will say that the smart ‘book’ is dead but I guarantee that if Apple were to release a MacBook iAir running on iOS, the worlds axis would change and it would become the next best thing. Smart ‘books’ aren’t dead, they’re just gestating. I’ll be continuing to test various devices with various operating systems and applications and in this video you’ll see me test a number of applications that are working out well on the AC100. Many applications don’t work well but the nice thing about a marketplace with thousands and thousands of applications in it is that you have options. All applications shown have been sideloaded using this method. I have a 3G AC100 on order and am looking forward to new Froyo-based firmware soon so stay tuned for more testing. In the video you’ll see Documents To Go, NewsRob, Raging Thunder, Wave Blazer, Astro, WordPress, Touiteur, Google Maps, Photoshop Express and XiiaLive. Fresh from the DHL van it’s the first Tegra2 device to hit the ground. Most will be calling the Toshiba AC100 [details] a smartbook and it certainly creates a smart impression. 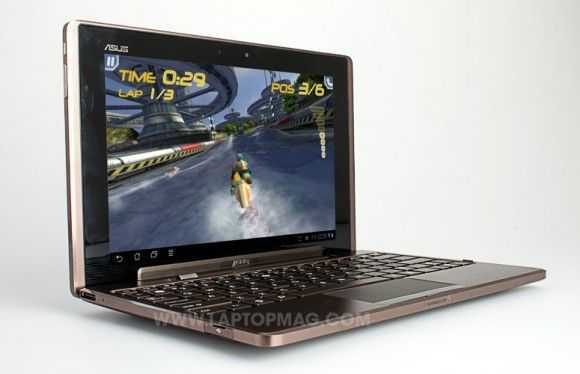 Super thin and light with a great-looking 1024×600 glossy screen and nice user interface. This may be running AOS (Android Open Source) 2.1 but it doens’t look like it. Toshiba have done a resonable job of filling in the gaps. Plastics are a little on the cheap side but the keyboard is good as is the mouse-pad with scroll area and dual mouse buttons. One point to note is that the video player, while blowing me away with a 1080p playback and ability to handle a 8.5Mbps WMV and 6.5Mbps DivX out of the box, is somewhat buggy. Three lock-ups (requiring reboot) in the first hour left me feeling that the firmware was rushed out for IFA. Fortunately, Toshiba include an OTA firmware upgrade app so i’m going to be checking it regulaly. Oh, the media player suppors uPnP devices too. Finally: YouTube Unboxing Video now available. 1 – Unboxing and overview. 3 – Deeper look at browsing, video, YouTube and other features. Update: Live testing is over. Videos are available here. 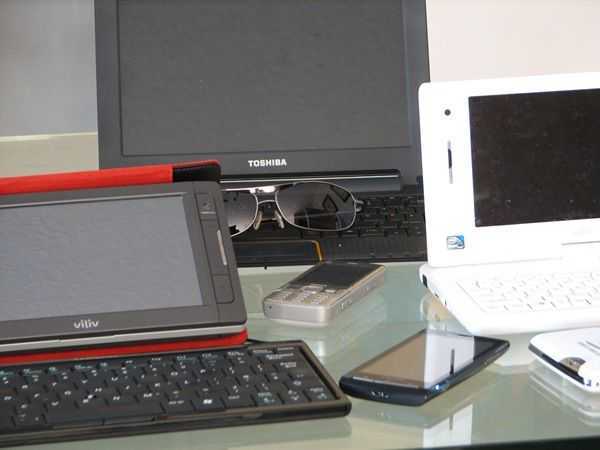 A few days ago on UMPCPortal I wrote about the differences between smart devices and netbooks. Tonight, I put one of the latest and more productivitiy-angled solutions to the test. Tegra2 testing begins tonight because within the next few hours I expect the AC100 to be delivered. 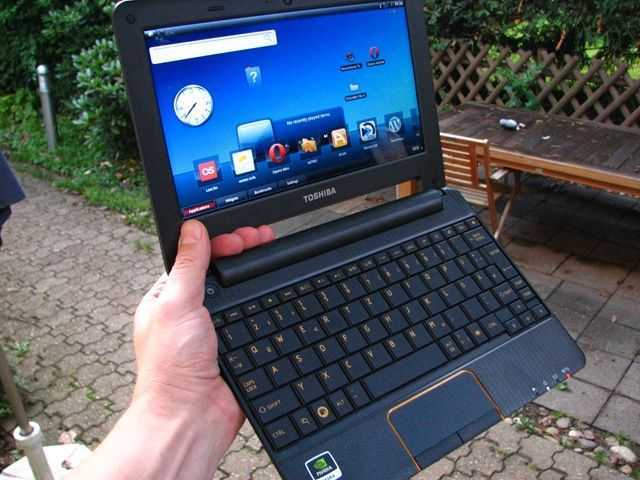 The Toshiba AC100 is the first Tegra2 device to hit outside Japan and only the second true smartbook to hit any global market. We’ve already reviewed the Airlife 100 so now its time to see if Toshiba and Tegra can bring anything new to the table. JKKMobile will join to help moderate this independant review session. AC100 gets Unboxing, Promise of 2.2 Upgrade, Email Notification Rave! We’re twitching at every movement outside our door while waiting for our own Toshiba AC100 today (Note: Possible live video review session tonight â€“ stay tuned.) but at least we’ve got something to keep us occupied in this unboxing video from Netbooknews today. 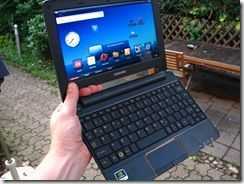 It’s known as the Dynabook AZ in Japan but it’s the same device as the AC100 were expecting. 1 â€“ Opera Mobile (not Mini) is included. 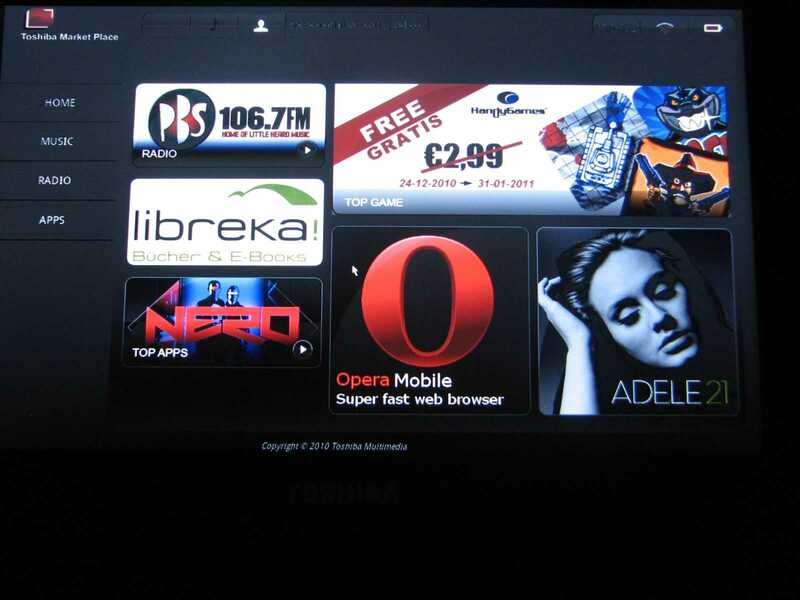 Opera Mobile is not generally available for Android but Toshiba appear to have had it built specially for the AC100. Opera Mobile sounds like it is providing a better internet experience than the stock browser. I’m certainly a fan of Opera Mobile and will be interested to test it out. 3 â€“ Toshiba are working on Android version 2.2 ‘soon’ which is excellent news. We’ll be attempting to hold a live email notification rave in our live open review session. Stay tuned for details! Uncategorized Comments Off on AC100 gets Unboxing, Promise of 2.2 Upgrade, Email Notification Rave! 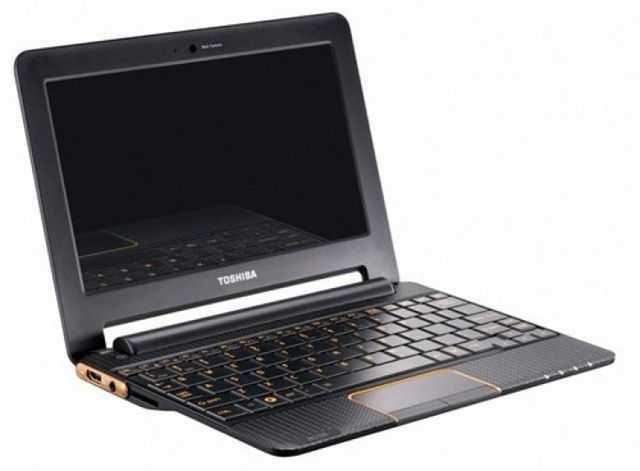 Toshiba’s Tegra 2 AC100 Is On It’s Way – Updated. Update: We just got a shipping notice. It should be here in 24-48 hours! I took a second to check an Amazon.co.uk order for the Toshiba AC100 this morning and alas, there’s no exact delivery date estimate. Checking over on the German Austrian comparison site Geizhals, it was a different story. German website Geizhals reports that one reseller is ready to send within 24hrs. This is the Non-3G version (Model number PDN01E-001016GR,suspected UK version with QWERTY keyboard) that we’re looking at but even without 3G, we think it’s worth a shot to get the first retail Tegra2 device so we’ve ordered one and have put the MiFi on charge! If we’re lucky, very lucky, we might get it before the end of the week. We’ll keep you posted on progress. Toshiba AC100 Product information and news page.